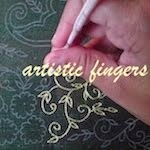 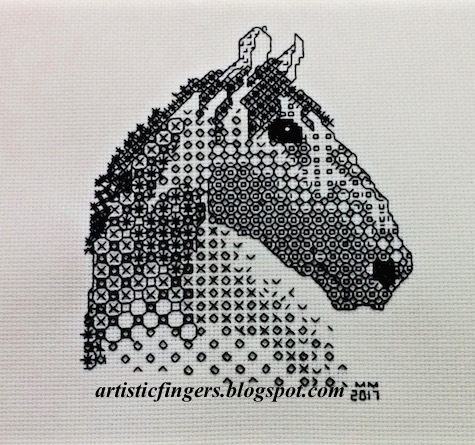 I'm back with yet another whitework/chikankari project. 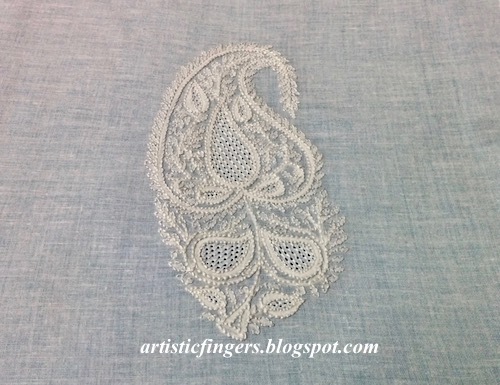 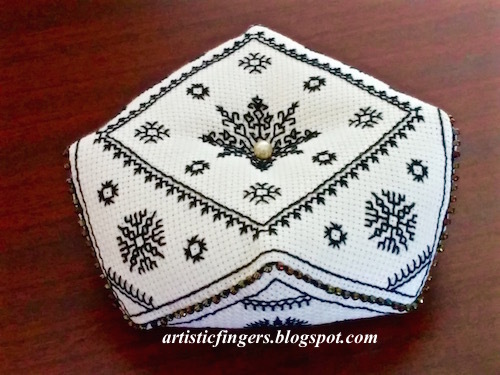 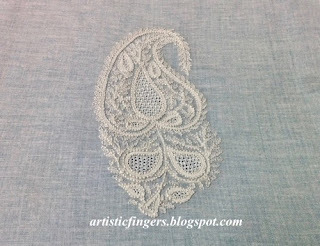 This paisley pattern is stitched on very fine muslin using 1 and 2 plies of embroidery floss. My plan is to appliqué this onto a saree pouch. I love pincushions/needle books so I often end up designing/teaching these accessories. 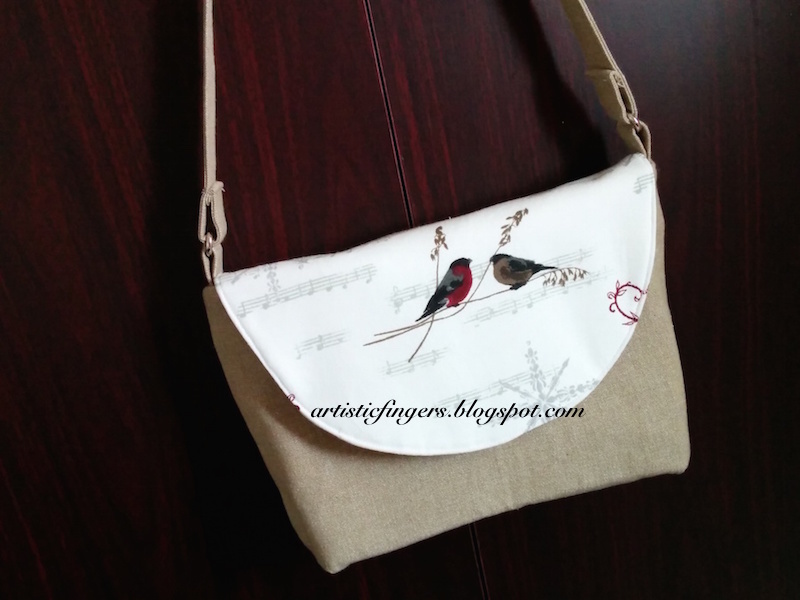 I'd like to share my recent finish with y'all.. 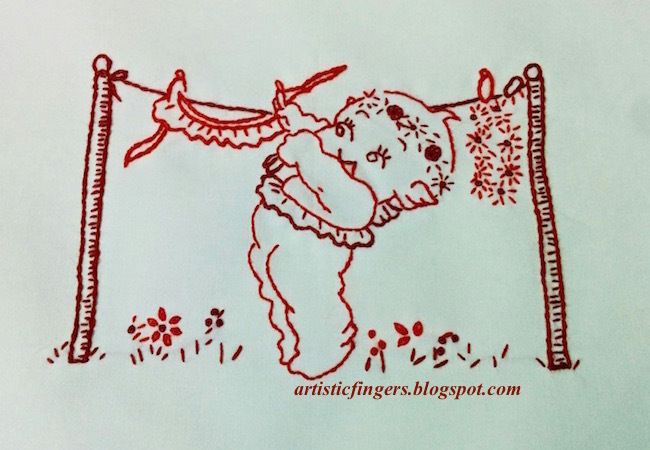 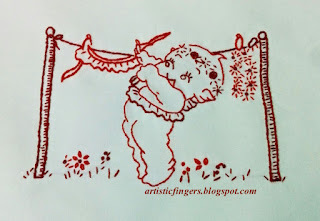 These redwork pieces are for a quilt. 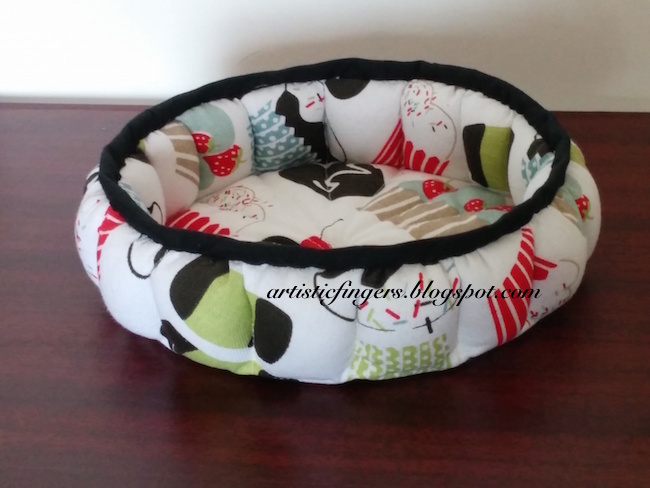 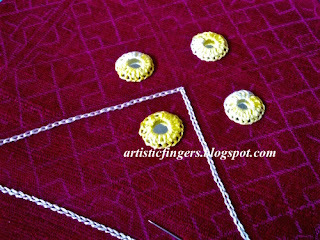 I've used basic stitches like stem, chain, daisy, split, straight, fly, blanket,seed and french knots. 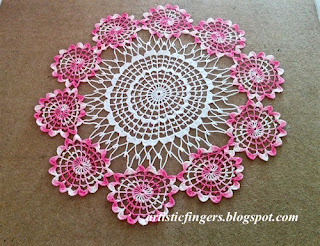 I'd started this doily almost a year back I think. 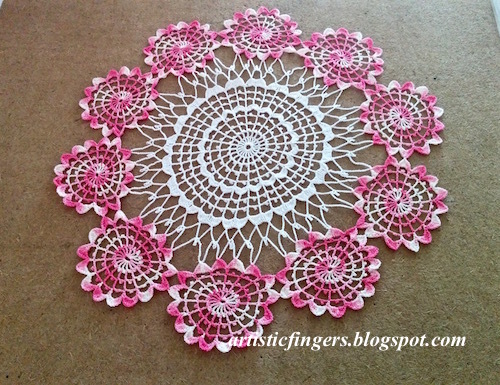 I was making slow but steady progress since then and finally finished it last week.. 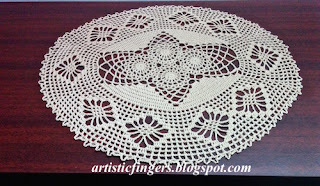 I'd crocheted a couple of things but couldn't share it immediately 'coz was busy with classes/workshops. 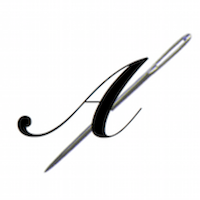 I want to be an active blogger but need either more hours/day or someone to help me run the business.Unfortunately I can't afford it at this stage so will try to post whenever I can. 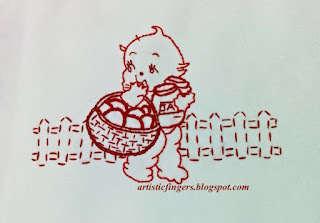 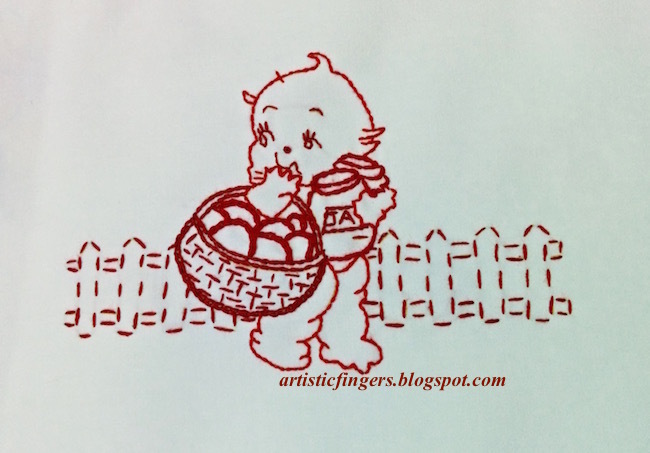 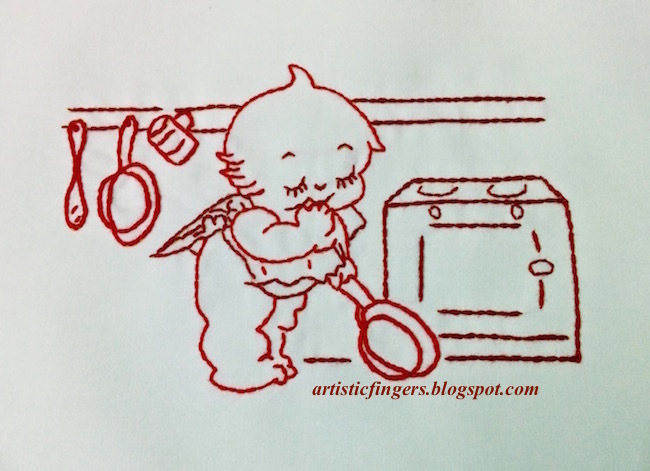 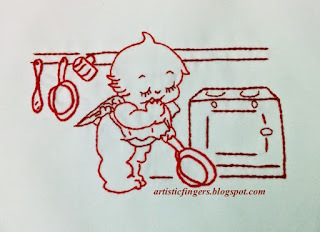 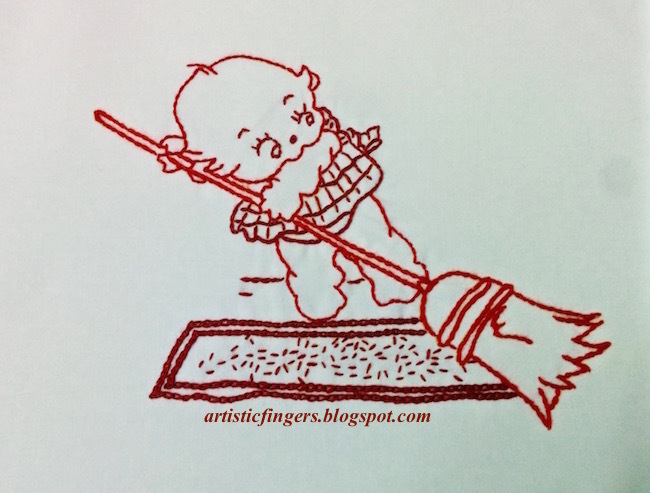 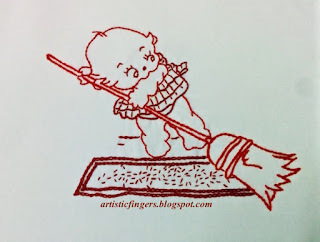 Hope y'all will remember me and read my ramblings even if I blog once in a while. 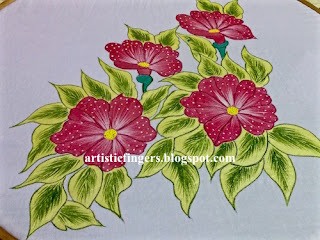 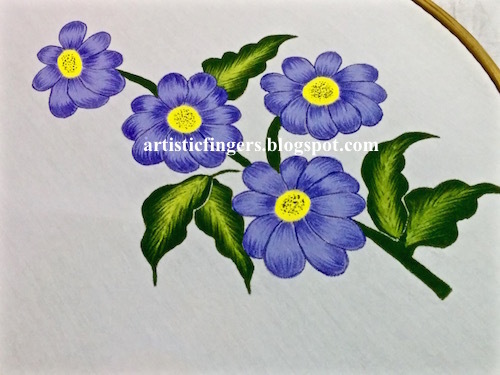 Hand painted fabric for pillow covers. 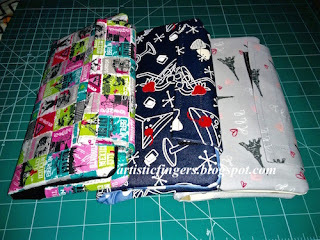 I spent most of my time sewing wallets and dresses this past week. 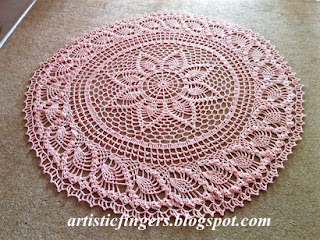 crochet doilies are blocked and ready to be displayed. 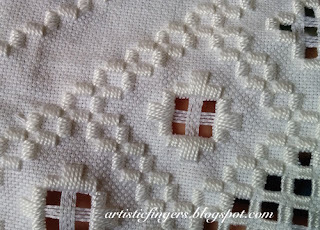 A new embroidery project with mirrors and some basic stitches. 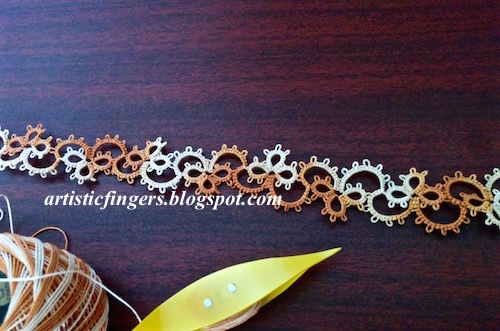 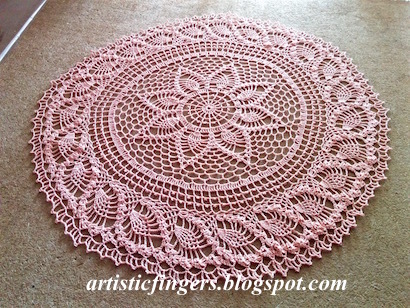 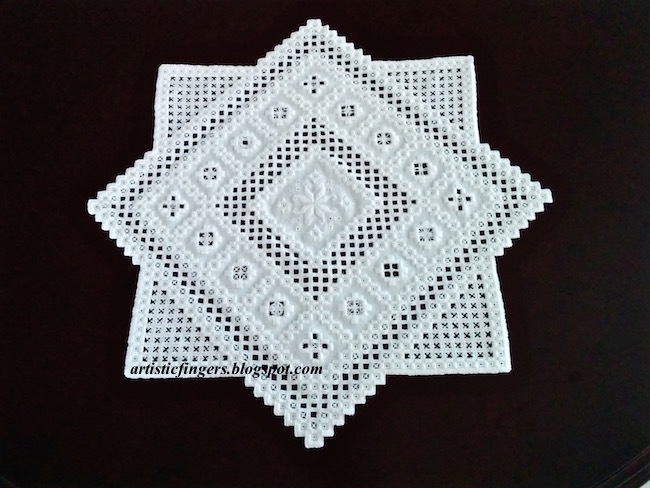 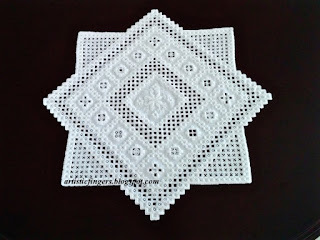 Crocheted doily with #20 thread..